With Demand For Its Products Down, Cisco Will Cut Workforce : The Two-Way The company says it will lay off 5,500 employees and, like other Silicon Valley pioneers, move into different types of business. 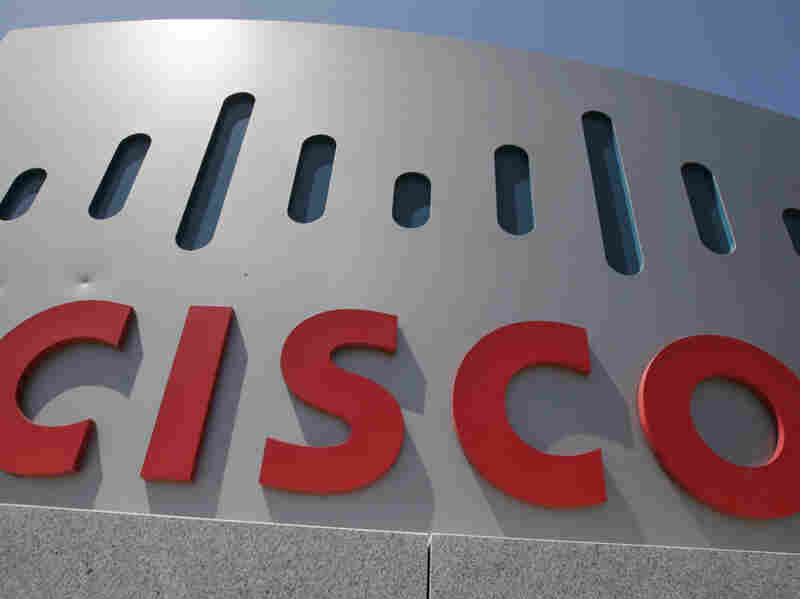 Cisco Systems, headquartered in Santa Clara, Calif., says it will lay off 5,500 employees as the Internet gear maker scrambles to adapt to technology changes that have reduced demand for its main products. Cisco Systems is cutting its workforce by 5,500 employees to keep up with a rapidly changing tech sector that has less demand for the routers and switches that brought the company to prominence over 30 years ago. Cisco CEO Chuck Robbins is interested in making another kind of switch into different businesses such as security and online or cloud services. The telecom companies which have been some of Cisco's biggest customers have been relying more on remote data centers for computing needs instead of networks on their premises. Robbins took over a year ago and has stepped up acquisitions. Cisco has purchased 10 companies in the last year to help advance its newer businesses. Cisco isn't the only tech behemoth to struggle with the shifting tech landscape. In April, Intel — the world's largest maker of computer chips — announced it would layoff 12,000 workers. HP, one of Silicon Valley's pioneering companies, split itself into two companies and both have continued to cut back. Cisco says its layoffs will begin this quarter.